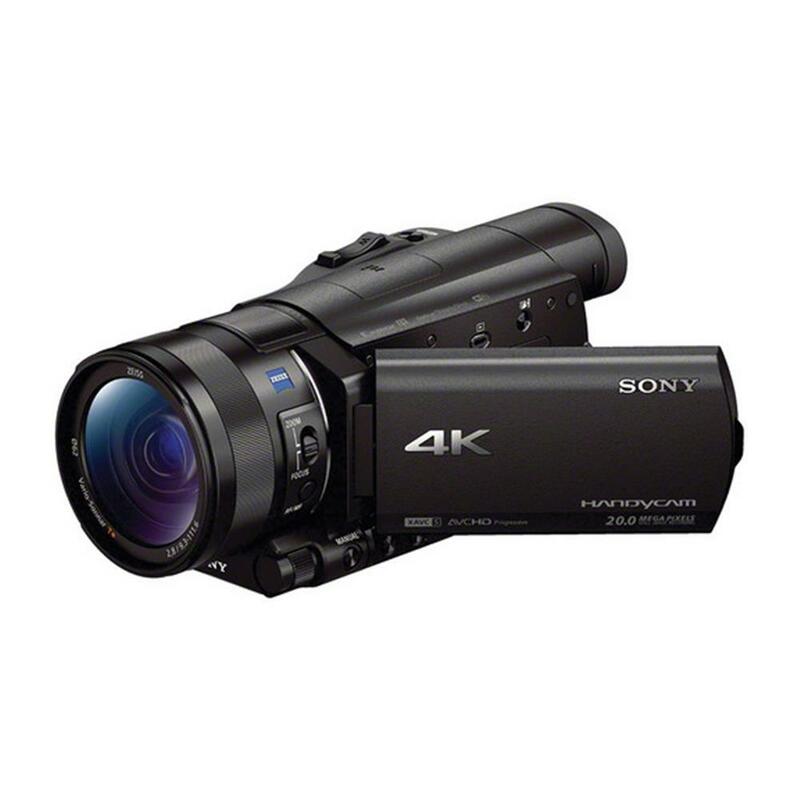 The new 4K camcorder realizes incredibly vivid, lifelike footage due to its ultra-powerful BIONZ X processor that employs area-specific noise reduction and detail reproduction technology. The blazingly fast image processor makes it possible to record 24P and 30P movies at the camera's full resolution and play them back with incredibly smooth, sharp motion. This new image processing technology achieves an even better balance of exceptional detail and advanced noise control, while its ability to record at 120p enables slow-motion playback at one-fifth the speed in a 24p environment in post-processing. Together with the camcorder's advanced Cinematone Gamma/Color function, a sumptuously warm, rich look to footage can be achieved. For even more polished results, Optical SteadyShot image stabilization keeps footage smooth and blur-free when shooting handheld with the compact camcorder. 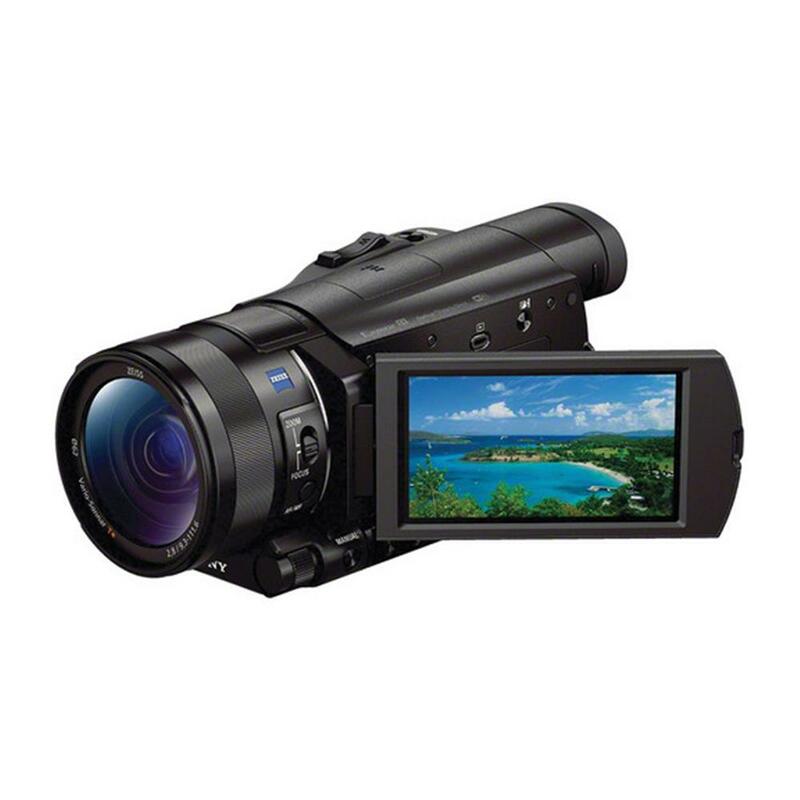 The Handycam AX100 camcorder comes with a new ZEISS® Vario-Sonnar T* lens that is tuned for high resolution image description. Definition is finespun right into the corner of the frame, thanks to the 11 group/17 element lens that incorporates AA (advanced aspherical) and ED lens elements. This 29mm wide-angle lens is ideal for capturing grand landscapes, and also covers a wide-range of image expression thanks to a maximum 12x optical zoom and 24x (HD)/18x(4K) Clear Image zoom. Working in harmony with the large 1.0-type sensor, the BIONZ X processor and ZEISS® lens with a seven-bladed aperture produces beautiful "bokeh" background defocus effects and still images similar to those achieved by professional video cameras. The FDR-AX100 camcorder records 4K and HD movies in XAVC S, which uses MPEG-4 AVC/H.264 for video compression and linear PCM for audio compression, while saving files in a MP4 wrapper. For greater flexibility, Dual Video Recording simultaneously captures in XAVC S or AVCHD high quality movie clips for HDTV and Blu-ray disc burning, as well as MP4 HD video ideal for sharing on the internet. 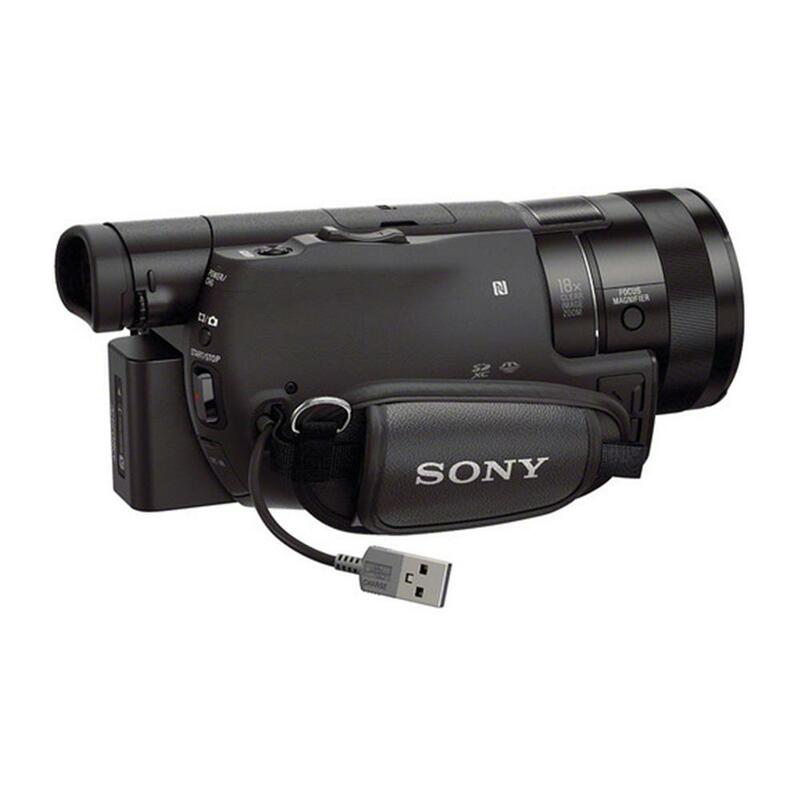 The ability to utilize all three formats makes this camcorder a versatile tool for creating content that can live in a number of different environments. The new addition of My Voice Cancelling takes audio to the next level by automatically reducing vocals from immediately behind the camera without affecting the subject's voice. 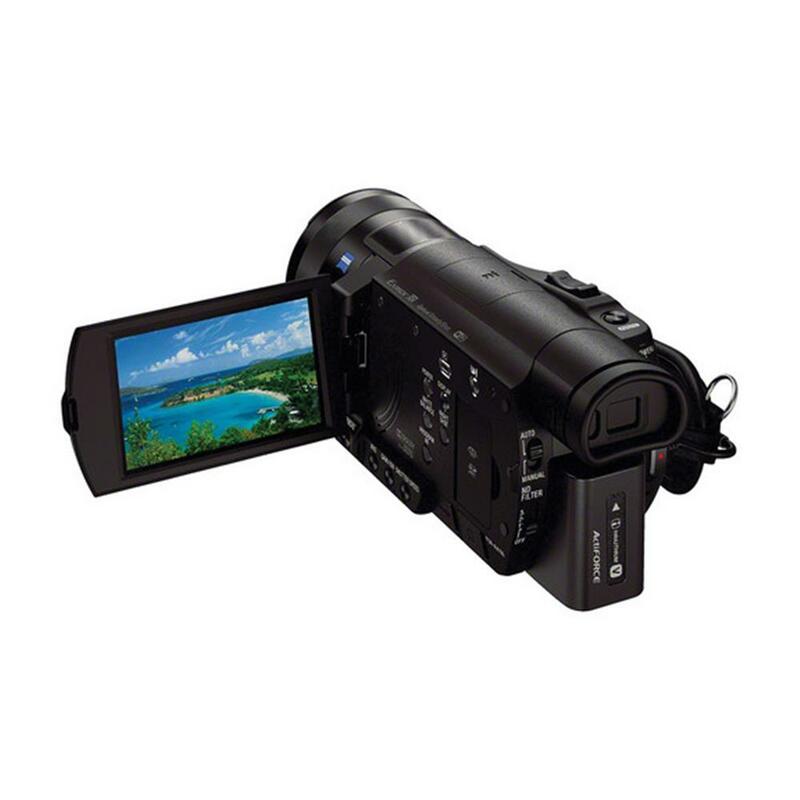 As a result, unwanted vocal noise from the videographer is reduced so the subject's voice is clear and ensures movies shot on the AX100 camcorder sound just as good as they look. 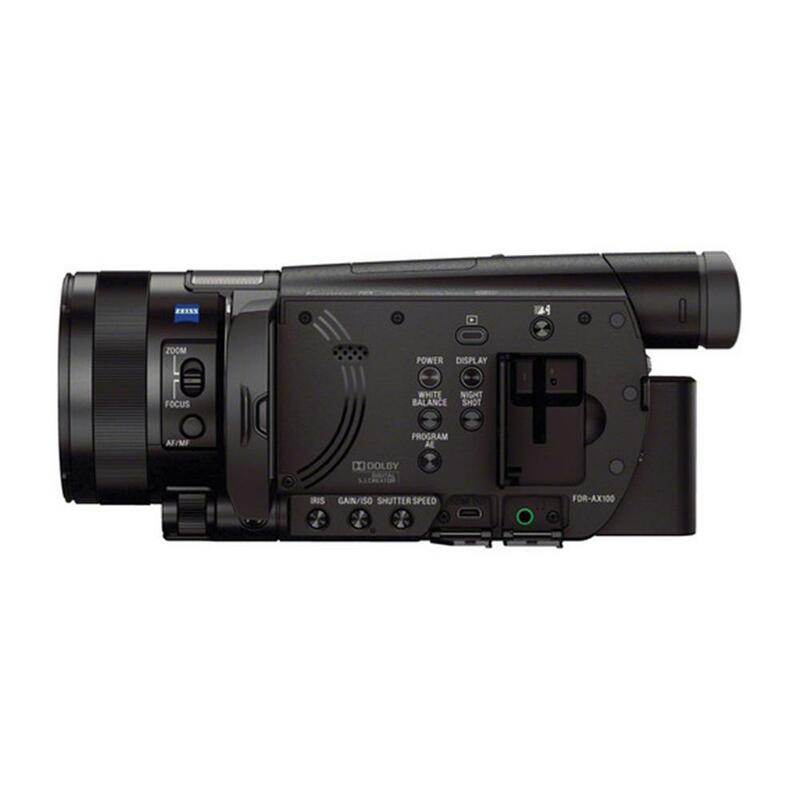 The camcorder features a bright, high-contrast 0.39" type OLED Tru-Finder™ which reproduces rich color and deep blacks. A new optical design of the Electronic View Finder, using four dual-surface aspherical lenses, allows for a 31-degree wide angle view for crisp edge-to-edge visibility. The 3.5" (16:9) WhiteMagic™ LCD™ screen (921K) displays sharp, vivid images, so consumers can compose shots more easily and even change settings to best represent the scene. 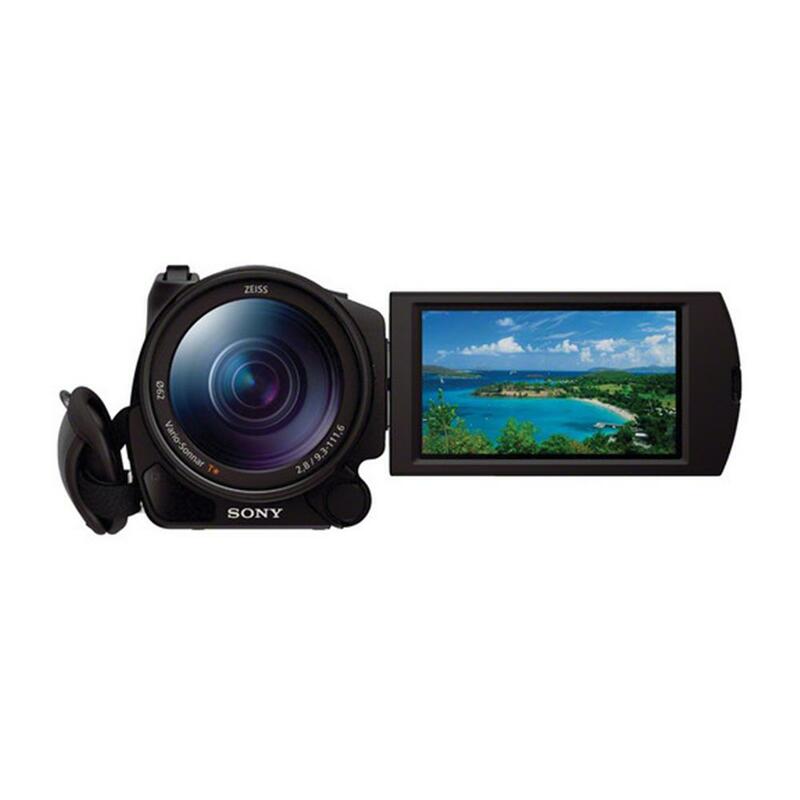 Sony's AX100 camcorder gives filmmakers more control over shutter speed and aperture by offering a choice of selectable Clear, 1/4 filter, 1/16 filter or 1/64 Neutral Density (ND) filters to adjust light levels entering the lens. Together with its large image sensor, the built-in ND filters enables "bokeh" effects even in bright conditions without increasing shutter speed. An easily accessible lens ring provides fingertip control of focus or zoom. 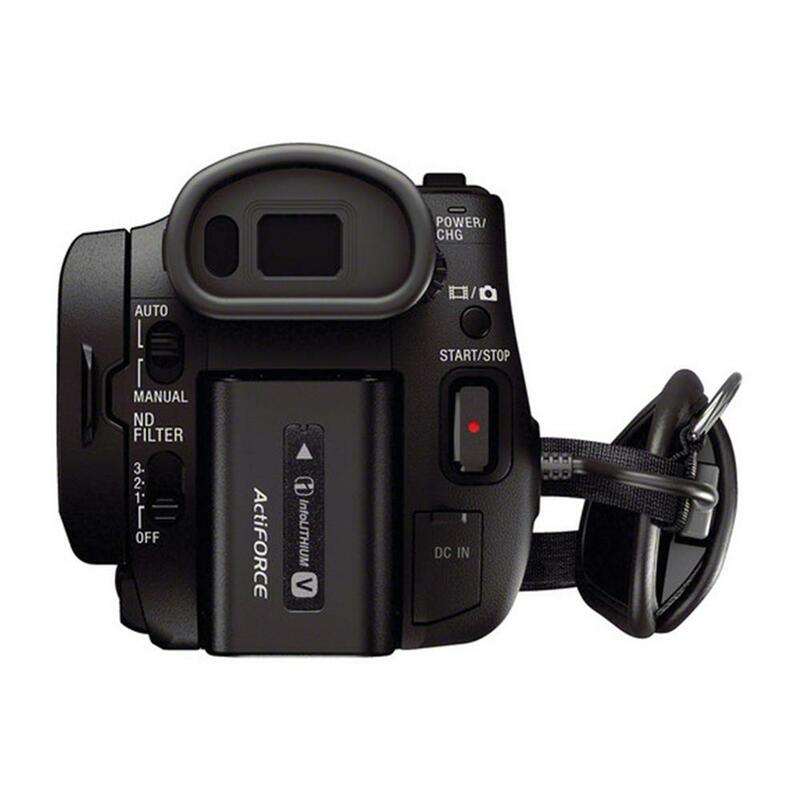 Film enthusiasts will also appreciate the side-mounted dial that can be assigned functions like gain or brightness, making it easy to control even when looking through the electronic viewfinder. The AX100 model has on-board Wi-Fi for easy connection with any iOS™ or Android™ smartphone coupled with Sony's free PlayMemories® Mobile app, and features Near Field Communication (NFC) one-touch for simple connection to NFC-enabled Android™ devices. Wi-Fi also allows wireless playback of content stored in the Handycam on a networked TV (DLNA renderer compatible TV and access point are required; not compatible with XAVC S format). Additionally, a connected smartphone can be used as a remote to control the camcorder. Expand your photographic and movie shooting possibilities by attaching optional accessories via the Multi Interface Shoe, including a powerful external light, stereo microphones, and optional XLR kit. A compatible remote control can also be connected with the Multi Terminal.